Eye shadow | Love, Chands. 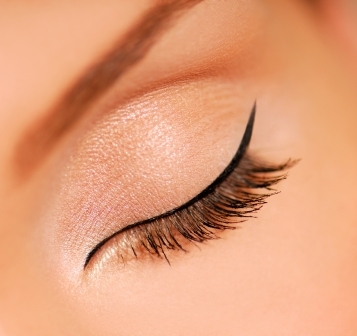 Keep your face simple and bare but add some thick black liner to the top of your lids. By winging your eyeliner you give yourself a dramatic cat eye. Useful for the evening and for a dressy event. Keep it day-time simple with a single thin liquid line. If youre heavy on the contouring and bright lips, tone it down with a thin eyeliner. A bright, 360 coloured eye. 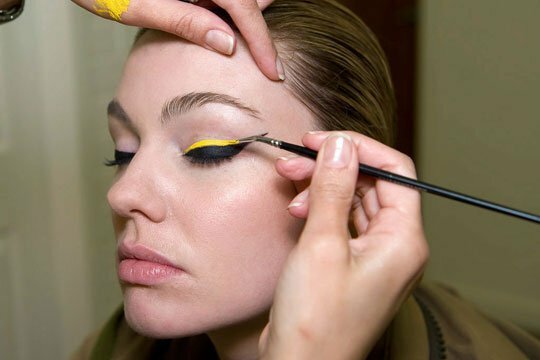 Replace your black or brown liner with a vibrant coloured liner. The Cara look, smudge your liner all around your eyes. Using a gel liner or eyeshadow to create the smokey all around elegant look. The best brush to use for this look would be the pencil tip or the blending eyeshadow brush!